Senior PLO member Hanan Ashrawi accuses U.S. of "cheap blackmail" after aid cut. 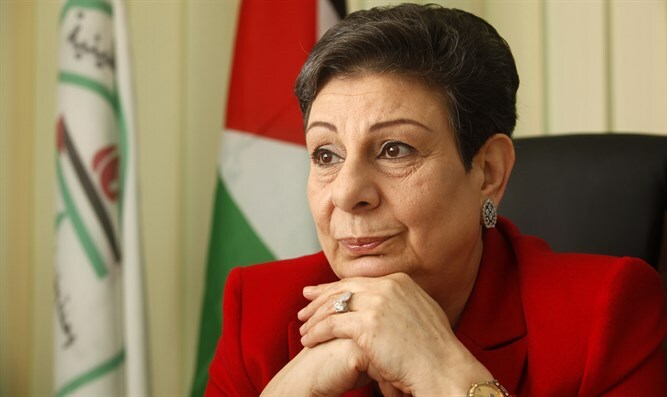 Palestine Liberation Organization (PLO) Executive Committee Member Hanan Ashrawi blasted the United States on Friday, after the State Department announced it would cut $200 million in bilateral assistance to the Palestinian Authority (PA). "The U.S. administration is demonstrating the use of cheap blackmail as a political tool. The Palestinian people and leadership will not be intimidated and will not succumb to coercion. The rights of the Palestinian people are not for sale,” she said in a statement. “There is no glory in constantly bullying and punishing a people under occupation. The U.S. administration has already demonstrated meanness of spirit in its collusion with the Israeli occupation and its theft of land and resources; now it is exercising economic meanness by punishing the Palestinian victims of this occupation," added Ashrawi. The State Department notified Congress earlier on Friday that it would redirect more than $200 million in U.S. to assistance to the PA to "high-priority projects elsewhere."